Hi there, I’m Handsome! I know, I know, you can see that I’m handsome — but I’m SO handsome, that that’s my name! 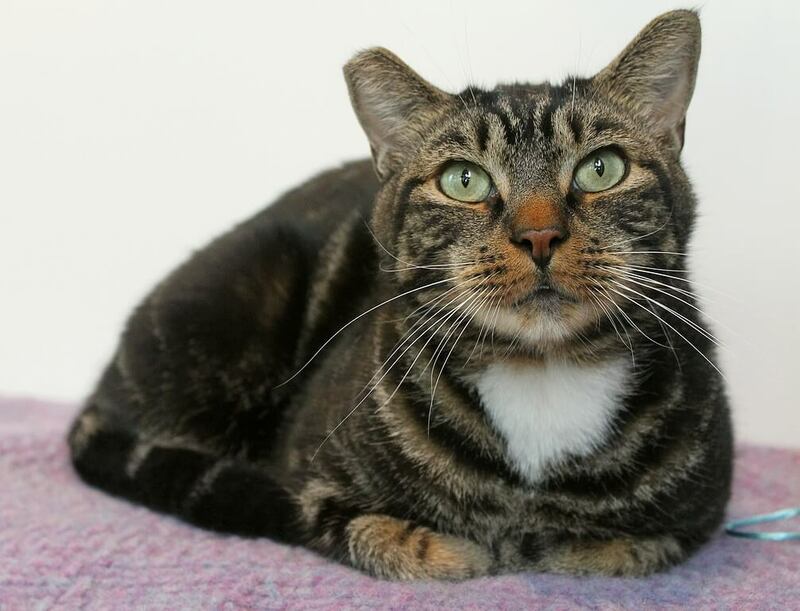 I’m a charming 4-year-old male tabby kitty with gorgeous green eyes and a very attractive personality. I’m very social and confident and will often give a little “meow” for attention when visitors come into the shelter. I’m still playful at my young age but I am also pretty easy-going and don’t need a ton of stimulation. I’m definitely all about my people — I am fabulous with children and am very, very tolerant of being held, petted, and doted upon. I’m a little bit into myself… and I don’t really want any other cats around taking up attention that should be directed to the most Handsome man in the house! However, any love you show me will be reflected right back at you, because I just adore anyone who take the time to spend with me. I’ve been very mellow around dogs as well, and could probably live with them if I was given the time to adjust. I’m a great family cat and I just know my perfect person or people are out there — could it be you? Stop by Pixie to meet me today! I come to you fixed, vaccinated, and micro-chipped for an adoption fee of $100.